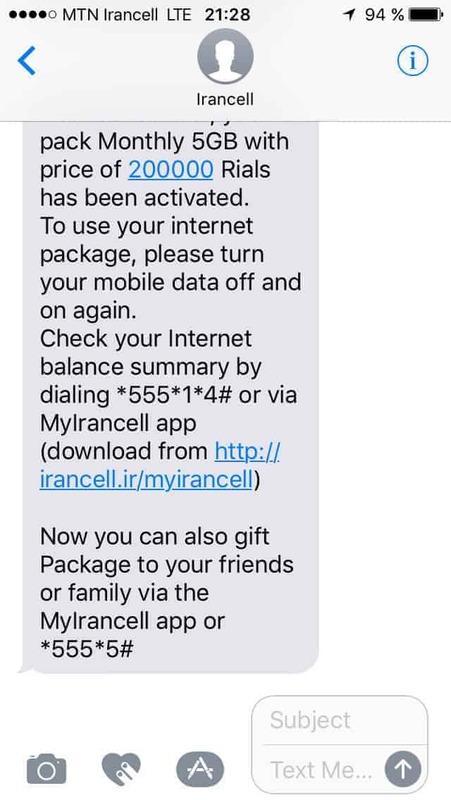 How to buy a sim card in iran. 3 Calls or data. Choose a package. Staying longer in Iran? Your life will be much easier if you have a local SIM-card. Connecting to new friends or enjoying 4g [or 3g] to be independent from WiFi. It isn’t hard either expensive to buy an irania SIM but has some difficulties when you are a tourist. Let us try to make it a little bit easier. In the bigger cities you will find official shops of one the main network operators like Irancell. Unfortunatey they refuse to sell their SIM cards to foreigners. So you need a friendly Iranian helper who is kind enough to buy you a number. This shouldn t be too difficult as the iranian people are are incredible friendly and mostly keen to help, just ask in the common social networks like “see you in iran[facebook] for support or even an iranian in the streets. I am pretty sure that he or her will help. In most of the cities we visited the network was working fine, in abroad areas as Kurdistan you won’t have any signal at all. At the airport in Theran, we saw a MTN-irancell shop, where it could be possible to obtain a SIM as a foreigner but we do not know for sure as we hadn t any riales yet. If you have you new SIM you’ll need to wait 1 hour till it is activated. The “teletext” menue of Irancell wouldn’t be hard to understand if it would be in farsi. So the first thing you want to do is changing the language to english. Voila, suddenly everything makes sense. PS: There are some rumors that simply dialing * 555 * 4 * 3 * 2 # will do the job in one step but who wants it simple. It is really easy to topup credit. Official stores and a lot of small shops sell voucher codes. Calls or data. Choose a package. Do not use the credit without picking a or more packages as you’ ll waste it much faster. Irancell offers differents packages and it is up to you to choose. We went with some credit for calls and a bigger data package to use mobile internet and messenegrs. 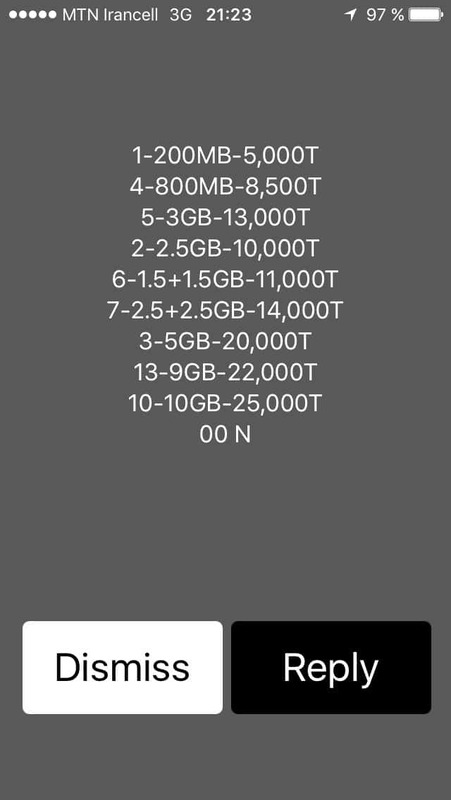 FYI 5GB Data cost approc. 200 000 Rial , which is more or less 5€. The new balance will be shown instantly. Keep in mind, that the persian calender is “slightly” different than ours. So if you decide for a monthly data package on the first of the moth you wasted already the half as the persian calender will be already twelve days ahead.